A few weeks ago I walked into our home for boys and met eyes with a beautiful yet, unfamiliar face. The child was very small, wearing pink clothes, and had a fairly girlish face. My initial thought was …” Hmm, maybe two year old girl, and oh, I think I’m in love with this little angel!” That thought was quickly shaken when the screaming ensued. I thought to myself, ooooh, right, my skin color. Terrifying to some, I know. I brought such a wave of fear over this three year old that my only reaction was to drop to my knees and look as small as I could. I felt like a puddle wanting to spread over the floor. I kneeled on my knees, resting on my heels, and didn’t make direct eye contact. The little one was now softly crying. Two other small boys were home, they both rushed up and hugged me. They looked at the crying child and said, “Don’t have fear! No problem.” After some time, I stood up slowly and walked away. I knew this was going to take time. My coworker shortly after told me, he is a three year old boy and that he was told that Abazungu (white people) eat people. Haha, solid. I quickly learned, our social worker was the one who had brought Berite. Berite’s mother is currently extremely sick. She has HIV, cancer, and multiple infections. The mother was making a living from prostitution and Berite’s father was not in the picture. We had agreed to take in Berite so the Mom could seek treatment and any operations that could try to improve her health. My heart hurt for the mother. She had to let go of what was likely the one light in her life so she could try to get herself healthy again. Then I thought about Berite. Here was this little angel, so very small, and innocent. Now, dropped off in an unknown place, with a house full of strangers, and white person zombie. I couldn’t fathom what was being processed in that little mind. I wanted to just scoop him up and hug him but I couldn’t. It was going to be some time before he would let my love in. Instead of chasing the new one around the house and property, like I usually do, over the last few weeks, I got to be a bystander to the care that my boys gave to him. Even beginning to write about it now brings tears straight to my eyes. Our home has the sweetest boys, they make me melt. They have LOVED having someone younger in our house to take care of and its the most beautiful sight. They have such concern for how he’s doing. They see and hear his needs. They prioritize his needs. They do funny things to make him laugh. They run around the house playing with him or give him their last bite of food or porridge. They fight over who gets to hold him and carry him. They see him fall and they rush over to pick him up and hold him. 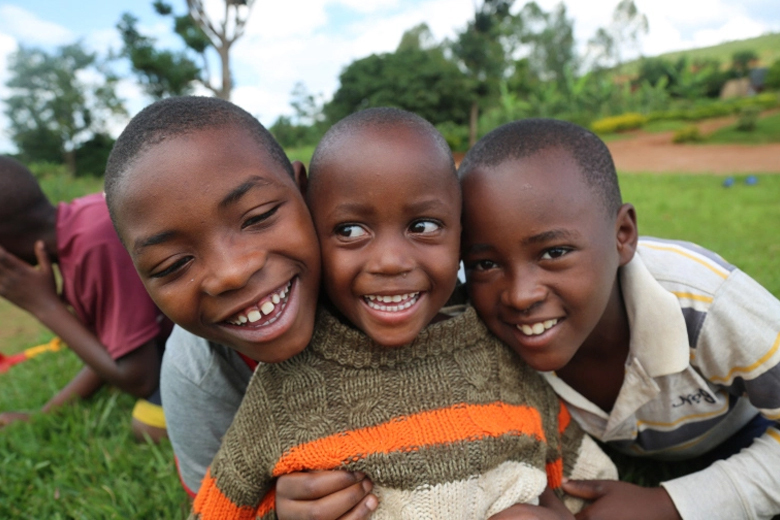 They run home from school and greet him with huge hugs and smiles. The feeling I have in watching the boys care for him is so special, it feels indescribable. It makes me feel proud. I imagine this is how parents begin to feel when they start seeing their kids treating others with kindness and love. It brings a feeling inside of you, a joy that wells up. It has been almost two months now and this little one has only recently finally warmed up to me! I’m grateful for the gift of just watching for a time, and the process its been. He spent the first few weeks looking fearfully at me. He would constantly watch my interactions with other boys in the house and in doing so, realized maybe I’m not so terrifying after all. A few weeks ago he came up, sat on my lap, and he was so tired just laying against me. I had this moment of “Yes! We made it.” Then, for whatever reason (I would guess fear still), he completely peed himself while sitting on me. I had pee all down my jeans, I had to laugh about it. The rest of the boys had a good laugh about that one too. Yesterday afternoon, I sat in my office and worked on my computer. Berite came in and out of the room probably a dozen times. He sat on me, he next to me. He talked to me freely. I talked to my Mom and he sat there repeating words I said. I can’t get him to stop talking to me now. He looked at me, and smiled, and laughed. Later in the day, I looked at him, we met eyes, and both giggled. Safe to say, I think he’s let go of any ideas that I’m a zombie in disguise…. He loves acting like we’re on the phone together. 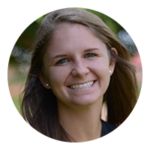 Stay up-to-date with what is happening in Rwanda by following Amanda, Hope for Life’s Sponsorship Coordinator, on her blog! If you are interested in receiving updates from our team, enter your email. We promise not to share it with anyone else. Emily works as a Washington State Auditor and is passionate about social justice, fighting homelessness, and nonprofit finance. 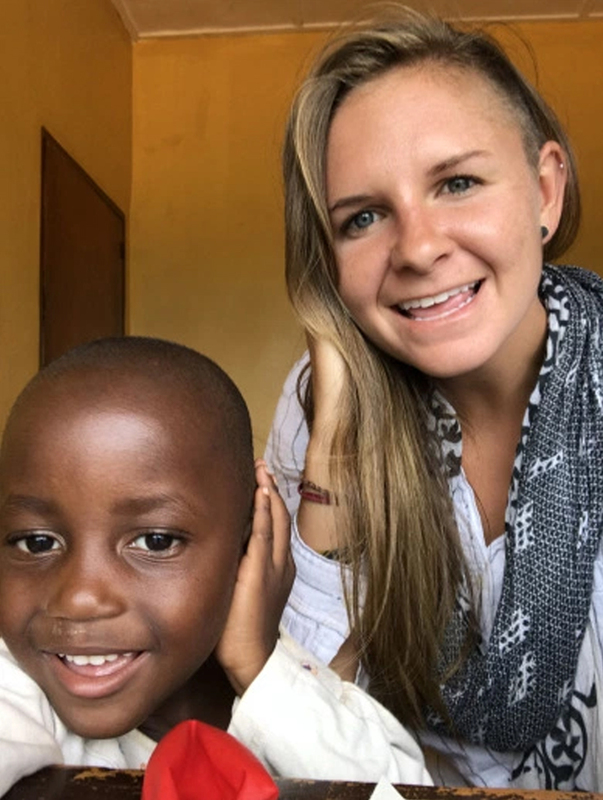 In addition to being a CPA, Emily holds a BA in International Development, an MA in Public Administration, and certificates in Accounting and Nonprofit Management. We are grateful for her and the expertise she brings to the organization.